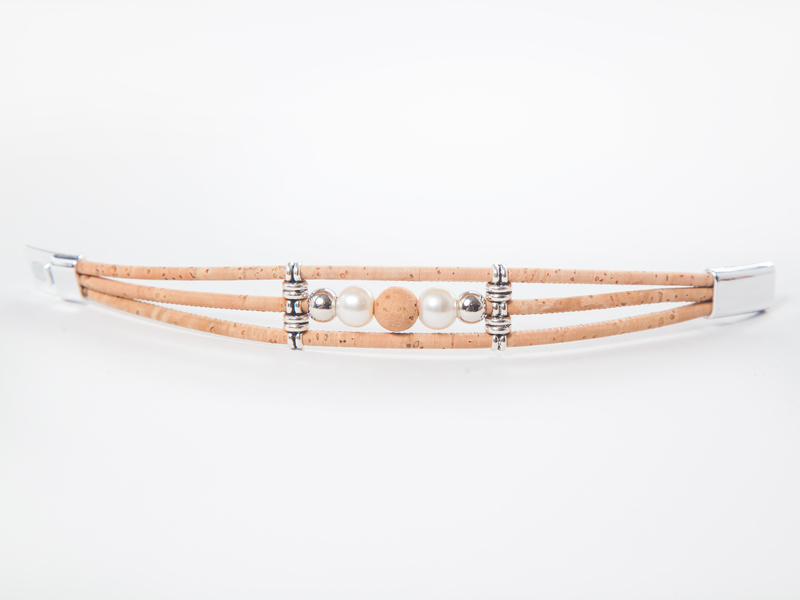 Delicate cork bracelet with colored beads and metal inserts. Beads color: beige, white, silver. 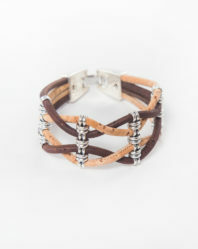 Bracelet material: cork, zinc alloy. 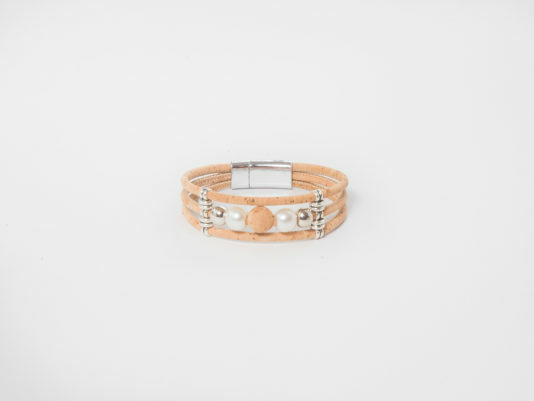 Beads material: beige-cork, white-plastic, silver-zinc alloy.